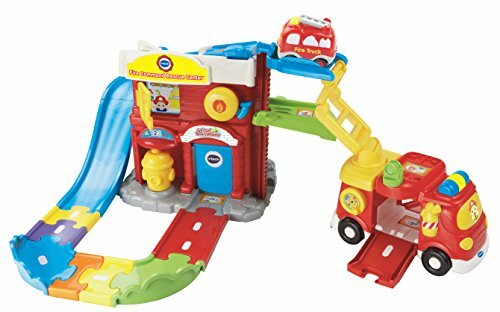 This group of the best toy garages for toddlers make playing with cars extra fun, particularly for little boys, who in my experience are always fascinated with them. 5 ✅Help! How am I Supposed to Store all These Toy Cars? As a parent, I always liked wooden toys for both their sturdy quality and their attractiveness. 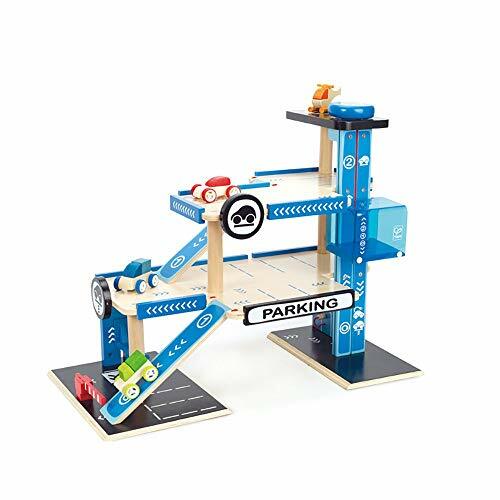 This toy car parking garage is one of the many clever and well-made wooden toys from Melissa and Doug. We had a ton of their toys when my kids were little. 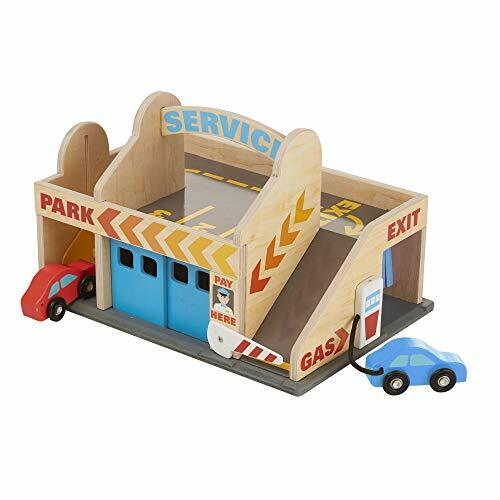 Like many Melissa and Doug toys, this garage playset is portable (the cars can be securely stored by closing the garage doors), so it’s great for taking along to restaurants and doctor waiting rooms. Two unique feature are its drive-thru car wash and the gas station pump that actually connects to the car. And since kids who love cars usually also love trains, it’s a real plus that the two cars in this set are compatible with both Thomas and Brio train track sets. 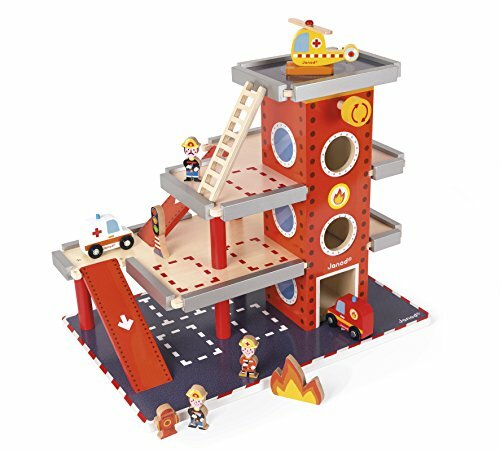 If you can grab this parking garage at $30 or so, I think it’s a great deal, but I don’t think I’d spend more than $34 on it unless I was getting free shipping. ✅ Check the current price here. 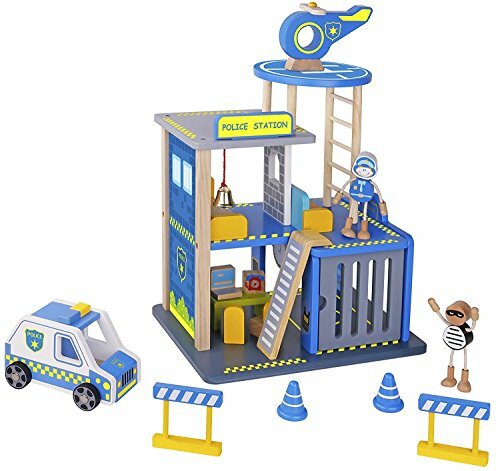 The over-whelming majority of the reviews of this wooden garage toy are very positive and contain a good bit of helpful information if you’re not sure if it’s the best fit for your child. ✅ Read all 5-star reviews here. On the other hand, there were a few people that were NOT happy with this toy at all and gave it ONE star. Some of their negative feedback might really help you realize that this isn’t the best choice for your child. ✅ Read all negative ONE star reviews here. 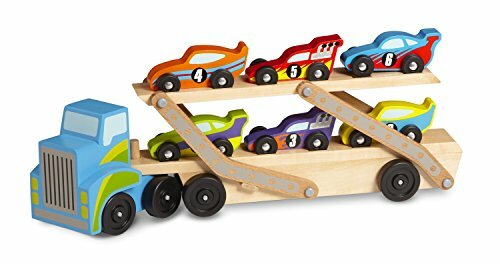 It comes with ten wooden cars that in different colors that have pegs on the front. 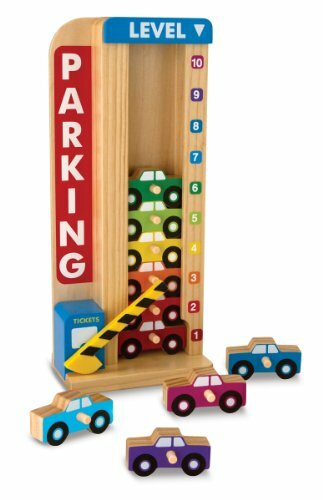 You drop them into the slot at the top of the parking tower or pull them out from the bottom of the stack, and the colorful counter on the side adjusts every time you add or remove a car. This is a great educational toy because it includes colors, numbers, counting, and fine motor skills. You could find a lot of clever ways to use this toy to interact with your child. 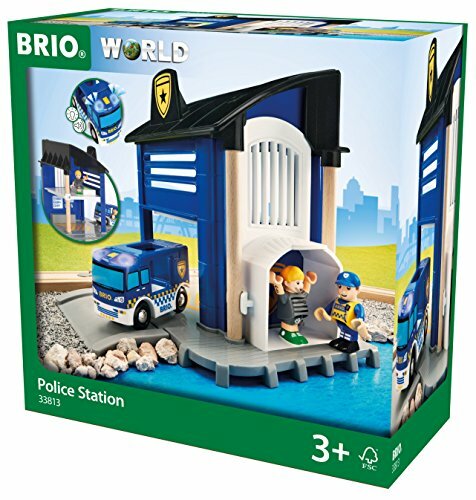 My mother was always very impressed with the quality of Brio toys, and this Brio wooden parking garage is very durable and able to stand up to any toddler abuse. 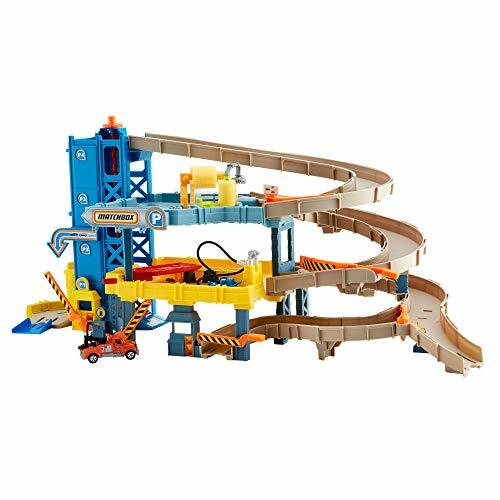 It has two cars, a car trailer, two rail ramps, a road ramp, and a gas storage tank. It even has numbered parking spaces, which I think is a nice touch. The garage comes completely assembled. All you have to do is set the tower in place and snap on the red slide. Kids can crank the red handle to raise the car to different levels, and then have them ride down on the slide. 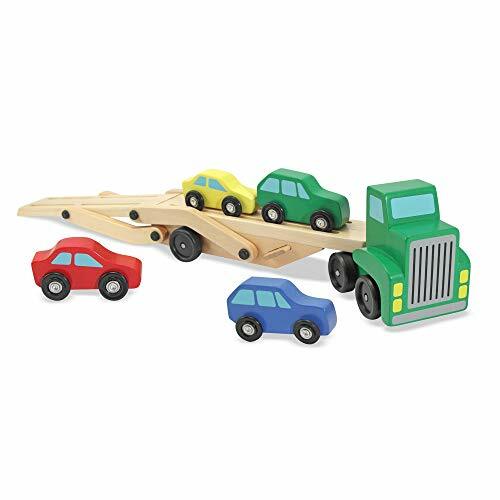 This toy connects to any and any Brio wooden railways, trains, and vehicles, so you can creatively expand it over the years if you choose to. ✅Click here to see a photo of this toy garage in action! 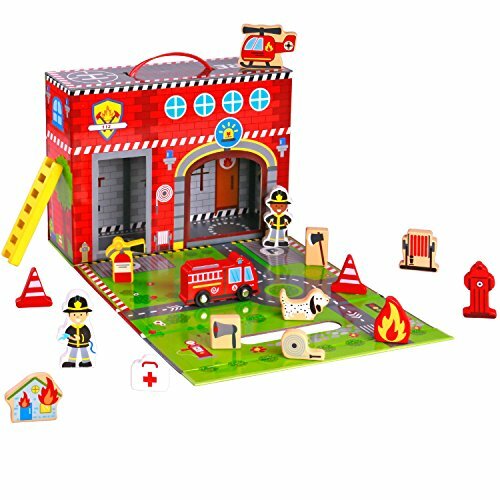 There’s a lot going on in this garage play set. 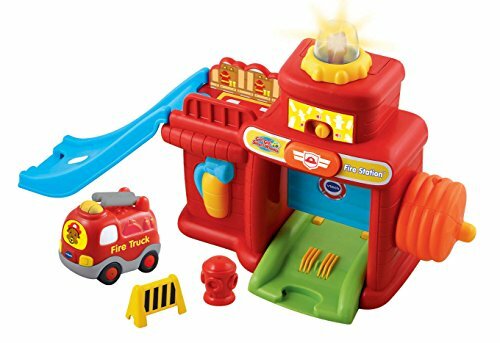 It has ramps, an elevator and helipad, a car and figure, and a gas station and car wash. It’s sized so that Matchbox and Hot Wheels cars fix on it as well. It’s also worth noting that the manufacturer, Play Toys, prides themselves on being of environmentally responsible and strive to reduce waste and save energy when creating their toys. I still remember being about 5 years old and being fascinated with a toy in my church nursery where you cranked the car up the elevator, then let it roll down the ramp. 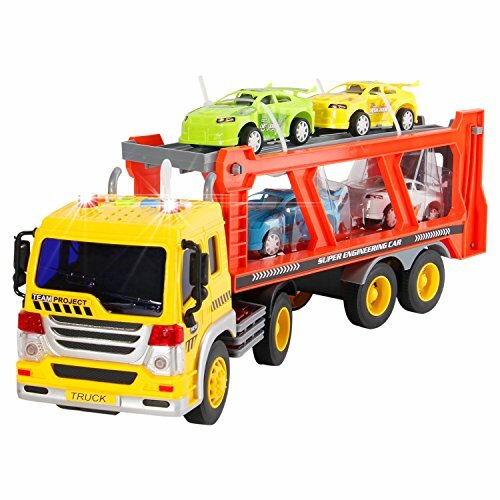 This garage set includes one tow truck and the two AAA batteries that you need for it, although you will also need two AA batteries for the garage, a screwdriver, and about twenty minutes of time to fully assemble it. There are nine different points on the tracks that you can roll the tow truck over to hear different phrases, music, or sound effects. 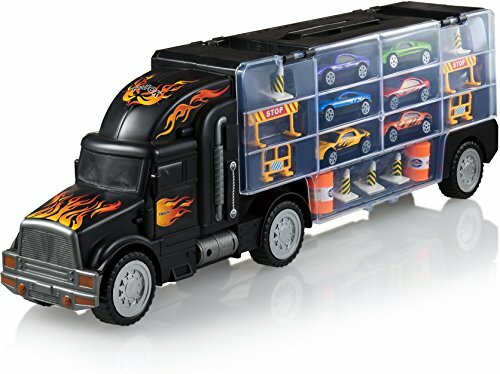 There are also three different songs that you can hear by pressing the button on the truck. One possibly downside to this set is that it takes up a lot of space and isn’t easily transported once you set it up. It would probably work best in a big playroom area where it stay for long periods of time. ✅Click here to watch a 5-star video review of the V-Tech Park and Learn Garage. Click here to watch a negative ONE star review of the V-Tech Park and Learn Garage. This large playset stands at just over two feet tall and does require some assembly. It’s a great toy for two closely-spaced siblings to play together. For example, one child can play with the straight ramp while the other uses the spiral slide. Another nice touch is the traffic light at the bottom that goes from red, yellow, then green to count down when two cars race down the straight ramp. One child can push the button to start the lights, while the other child can race the cars. 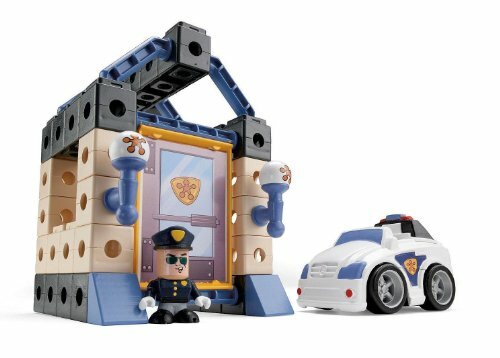 One nice perk about this playset is that if you already own Hot Wheels or Matchbox cars, they both work perfectly with it. 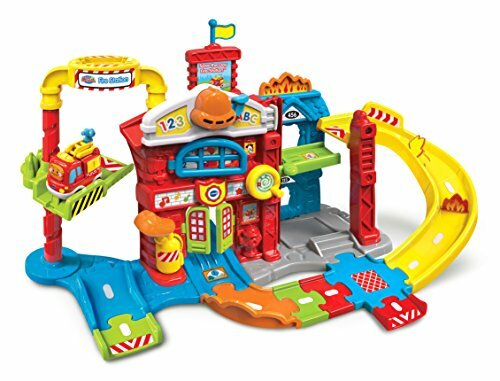 ✅Click here to watch a video demo of the KidKraft Mega Ramp Racing Set in action. My son Benjamin was a huge Matchbox fan when he was younger. 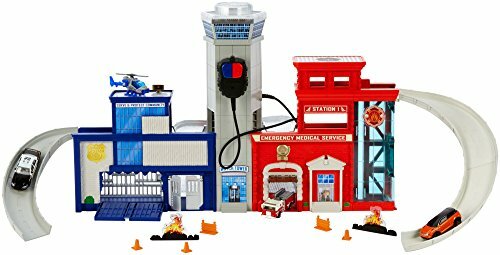 His favorite Matchbox playset is no longer available, but there’s still plenty out there for today’s toddlers to have fun with. By itself, this set is fairly small. At 15 inches in length..and about 12 inches high, it fits nicely on a small play table or the corner of a room, so it’s perfect for families that don’t have a lot of available floor space. 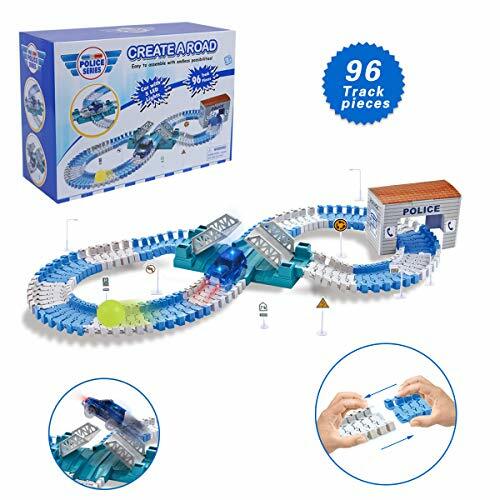 The beauty of this toy is that there are plenty of places for the cars to visit on multiple levels, so kids can easily enjoy playing with it for a long time. In addition to the parking garage itself, cars can ride the elevator up to visit the penthouse suite at the top, then roll down the ramp to see a movie at the movie theater. ✅Help! 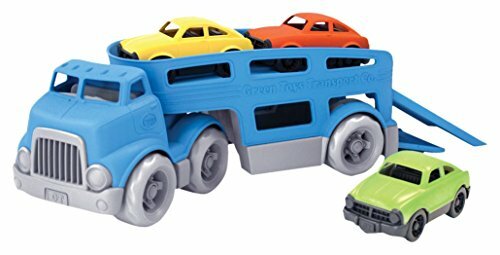 How am I Supposed to Store all These Toy Cars? If your house is anything like mine, you have a ridiculous amount of Matchbox and Hot Wheels toy cars — and perhaps, like me, you have tried many unsuccessful methods of containing them. We used to try putting some of them in things like shoe boxes and plastic bins of different sizes. Not many was that still pretty messy and unorganized, but we found that the cars were getting scratched up by rattling around on top of each other like that. We bought a cute Matchbox carrying case with a handle that was shaped like a car tire. Unfortunately, that didn’t work well either. It was very flimsy and the hinges quickly broke. 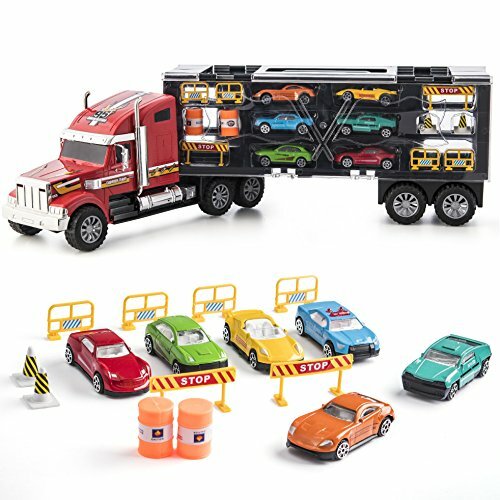 This car carrier truck Includes 6 die-cast racing cars, as well as construction signs, cones, and road blocks. The carrier is 20 inches long and has 28 slots for storage. 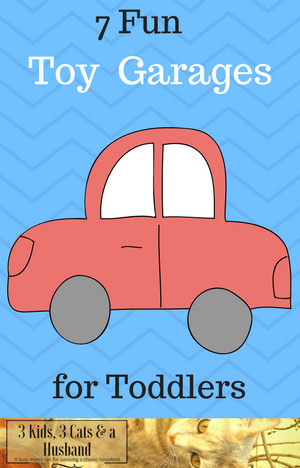 Now 28 slots would not have been nearly enough for all of Benjamin’s cars — but it’s a good starting point, as well as a fun and helpful way to make a smaller amount of cars easy to transport. But guess what? Yup, some reviewers hated it and gave it only ONE star. ✅ You can read all the negative one-star reviews for this car carrier here. What eventually worked best for us, storage-wise, was to mount several shelves on the wall. This especially became true as Benjamin got older and was a) slightly less obsessed with his toy cars; and b) didn’t carry them around all the time like he used to. We have three wall racks in Benjamin’s room that are either this exact product or something very similar. What’s nice about the wall rack idea — other than the obvious benefit of it saving space — is that it ends up being a very nice-looking room decoration. This cabinet holds 60 cars (more if some of the cars are small) and is just under 24 inches tall and 18 inches wide. It comes in black, oak, walnut, or cherry, so you can match it to the existing decor of the room. The shelves each have a “bottom lip” to secure the cars in place, and there is a latch to keep the plexiglass door securely shut. You know what else Benjamin loved when he was little? Rescue vehicles! 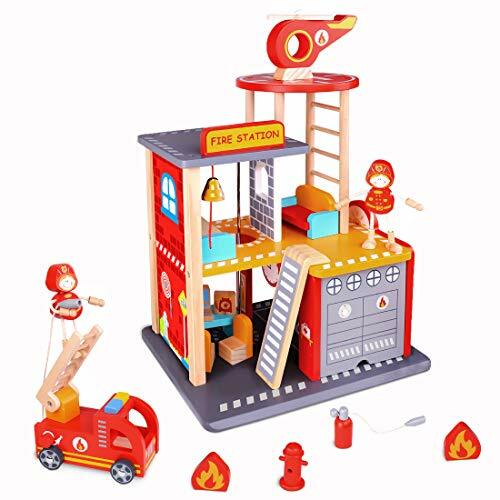 Here are some great fire station playsets that little guys will love. And of course we have can’t fire station without also including police stations!